Dedenne in game: 5,640 Who? Important notice! Pokemon Dedenne is a fictional character of humans. Dedenne (Japanese: ???? Dedenne) is a dual-type Electric/Fairy Pokémon introduced in Generation VI. 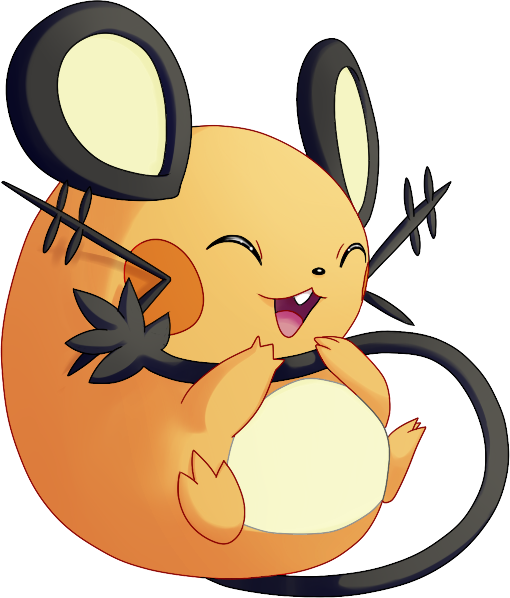 Dedenne is a small, round, orange mouse-like Pokémon, whose whiskers are in shape of antennas, which it uses to communicate with far-off allies. It has orange pouches on its cheeks that charge electricity, and its belly is a pale yellow. It has round black ears with light yellow insides, and a long black tail with a star-like tip. It has an aradicular tooth that can be seen on its upper jaw. Its tail can absorb electricity from power plants or house outlets. It can then fire electricity from its whiskers. 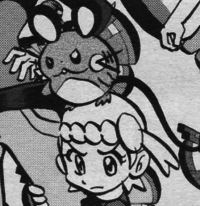 Clemont's Dedenne first appeared in A Battle of Aerial Mobility!, where Clemont tried to capture for Bonnie as a partner. He finally captured him in A Shockingly Cheeky Friendship!. A Mirror World Dedenne appeared in The Cave of Mirrors!, under ownership of Mirror Clemont as Mirror Bonnie's partner. A Trainer's Dedenne appeared in The Legend of X, Y, and Z!. Dedenne made its debut appearance in Kalos, Where Dreams and Adventures Begin!. XY003 Dedenne Ash's Pokédex Dedenne, the Antenna Pokémon. Dedenne communicates long distance with other Dedenne by sending radio waves through its antenna-like whiskers. A Dedenne appeared with its trainer, a Beauty, on her shoulder in Santalune City in Kangaskhan...Kangascan't. 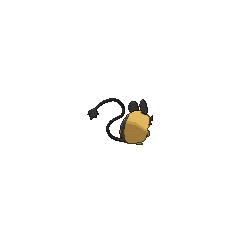 A Dedenne was used to power the Prism Tower during a blackout. Bonnie's Dedenne first appeared in the X & Y chapter. It was used to help free the Pokémon captured by Team Flare on Route 10. Dedenne appeared in Pocket Monsters XY. Dedenne appears as a Poké Ball Pokémon. It uses Discharge upon being released. NA: This Electric/Fairy-type Pokémon's round shape and antennae-like whiskers make it very distinctive. It has a habit of sticking its tail into sockets to absorb electricity. Its Discharge attack shoots off in four directions, passing through obstacles and stunning any fighters it hits along the way. PAL: This Electric- and Fairy-type Pokémon's round shape and antennae-like whiskers make it very distinctive. It has a habit of sticking its tail into sockets to absorb electricity that it fires from its whiskers. 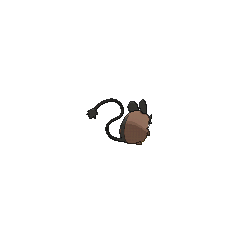 Its Discharge attack shoots off in four directions, passing through obstacles and stunning any fighters it hits along the way. Its whiskers serve as antennas. By sending and receiving electrical waves, it can communicate with others over vast distances. It uses its tail to absorb electricity from power plants or from outlets in houses, and then it fires the electricity from its whiskers. Moves marked with a superscript game abbreviation can only be bred onto Dedenne in that game. For other sprites and images, please see Dedenne images on the Bulbagarden Archives. Dedenne is the only Pokémon with a base stat total of 431. 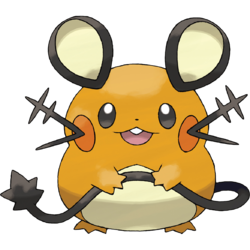 Dedenne seems to be based on a Japanese dormouse, gerbil, or hamster combined with a television antenna. Dedenne may be a combination of ?? denki (electricity) and antenne (French for antenna).